Our AI-driven technology means that the content on their websites can now dynamically adjust to be relevant to the specific needs and interests of potential renters, which increases the overall quality and effectiveness of their online experience, driving an average 284% increase in leads. Analysis of dozens of multifamily property management websites(1) demonstrate that using AI-driven technology that personalizes the experience for potential renters drives significant increases in leads, time spent on site and visitor engagement, all of which ultimately leads to an increase in lease signings. The AI-driven software was created by PERQ and helps multifamily websites offer the kind of personalized, guided experience today’s digital consumers demand, enhancing a potential renter’s propensity to engage with a property’s unique features, view floorplans, check out community amenities, calculate average rental costs and more. The software is easy to implement and requires no re-architecting of the existing website – all it takes is the overlay of a single line of code. While most multifamily properties have evolved to serve the changing needs of today’s renters – including adding amenities like yoga spaces, better connectivity, and lockers to safe keep online shopping deliveries – the bulk of multifamily websites have not evolved similarly to meet the needs of today’s expert, online researcher. Because PERQ’s online guided shopping experience reflects the offline attributes of a property, the multifamily websites studied see visitors spending almost 10 minutes as they virtually engage with a property’s unique features, viewing floor plans, checking out community amenities, calculating average costs, getting pre-qualified and then booking a tour. Additionally, multifamily websites enhanced with the online guided experiences report seeing 10 average monthly appointments set per site. PERQ’s online guided experience puts potential renters at ease as they make the difficult choice of where to live by guiding them through personalized assessments. PERQ remembers an online visitor’s information and serves up the next best calls to action to help in the renting journey. On average, multifamily property owners report collecting 5X more data from potential renters, which results in much better rapport with leasing specialists. Community Fit: Helps potential renters get a picture of what it would be like to live in a certain community, especially handy for out-of-town apartment shoppers who want to know what activities/amenities are nearby. Personal Expense Calculator: Informs potential renters about living expenses, with up to four amenities included with rent, plus additional expenses like average utility costs, and pet, storage or internet fees. Floorplan Assessment: Gives prospective residents insight into which floor plan may best suits their current lifestyle, their budget and their overall comfort. Pre-Qualifying: Puts prospective renters at ease by helping them determine “Am I qualified to live in this apartment complex?” and helps them understand the likely outcome if they do indeed decide to apply. Tour Scheduler: Streamlines tour scheduling by allowing visitors to book based on the availability of leasing agents and plugging appointments directly into a leasing agent’s calendar. In addition, the PERQ team will present a session entitled “Supercharge Your Website with Artificial Intelligence” during NAA’s Apartmentalize Learning Zone, taking place in San Diego, CA, on June 15 at 12:45 pm and will be giving demos in booth #2550. 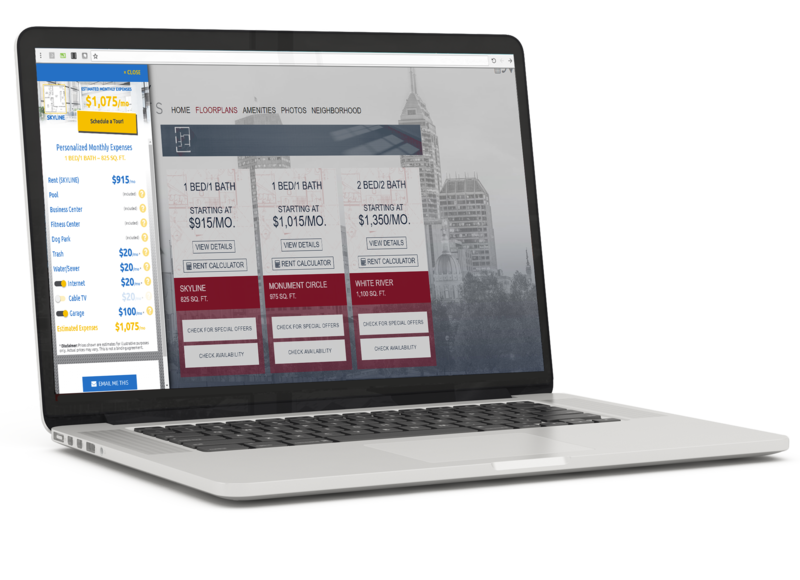 PERQ (http://www.perq.com), boosts website conversion through its online guided shopping solution which leverages artificial intelligence to dynamically change existing websites to deliver the next best step in each renter’s leasing journey. As experts in online consumer engagement and behavior, PERQ leverages over 10 million consumer data points, along with real-time visitor behavior. Founded in 2001, PERQ solutions are successfully used by more than 1,000 businesses in the home furnishing, auto retailing and multifamily industries. Its brands have been named to the Inc. “500 Fastest Growing Companies in America” list on three separate occasions. In 2017, PERQ won the Gold Stevie® Award for lead generation software and Product of the Year in the Big Business Awards.